Marvel has sent the teaser for GENERATIONS – Coming Summer 2017. The teaser, and the name, suggest stories depicting Marvel’s many Legacy characters such as Peter Parker and Miles Morales, Clint Barton and Kate Bishop, etc. And considering many of these characters are dead (Logan, Mar-Vel, Bruce Banner) the stories may well include flashbacks, but as yet no description. Peter Milligan and Juan Jose Ryp’s sold out Roman Mystery BRITANNIA is due for a sequel. 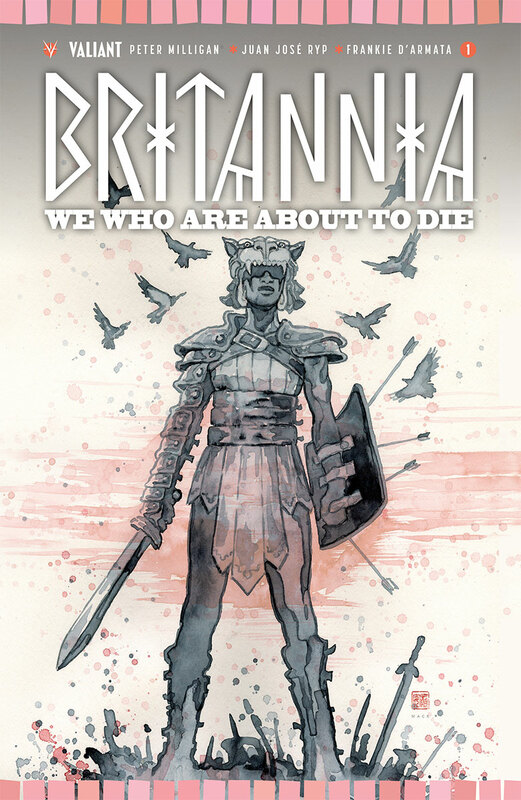 BRITANNIA: WE WHO ARE ABOUT TO DIE will be a four issue series starting in April. Detector Antonius Axia is back, for more mystery, intrigue, and Gladiatorial combat. JANUARY 10, ST. LOUIS, MO – As the world heads in to 2017, and in a time of uncertainty, Lion Forge’s newly acquired boutique imprint announces two gorgeous works of graphic fiction told from two wholly unique perspectives. First, the autobiographical account by the three-time Eisner-nominated writer/artist Tony Sandoval was quietly released last year amidst threats of a border wall between the US and Mexico in the US presidential election. Rendez-vous in Phoenix is an honest, true story that tackles the immigration issue through the eyes of love. To celebrate its release, the Magnetic Collection has created a beautiful book trailer, which can be viewed here. 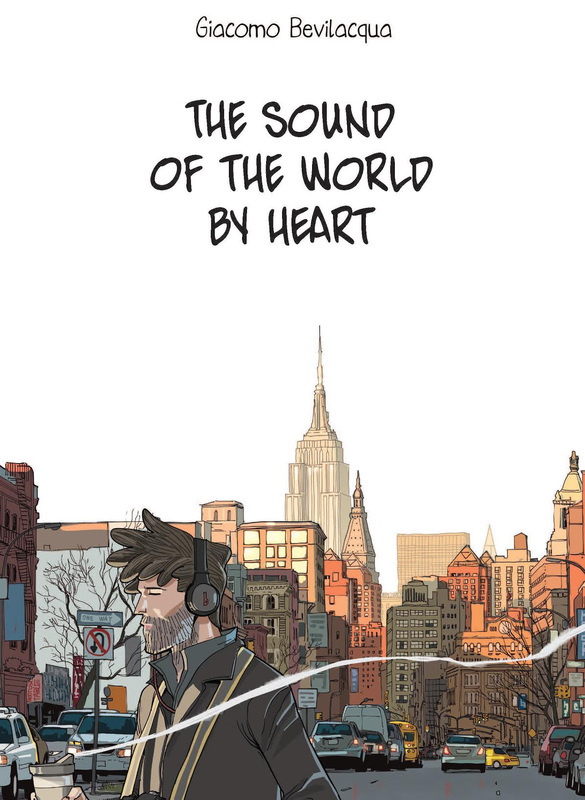 Another original graphic novel by Panda Likes creator Giacomo Bevilacqua, titled The Sound of the World By Heart, is a touching, vividly illustrated journey of the heart through modern New York City. 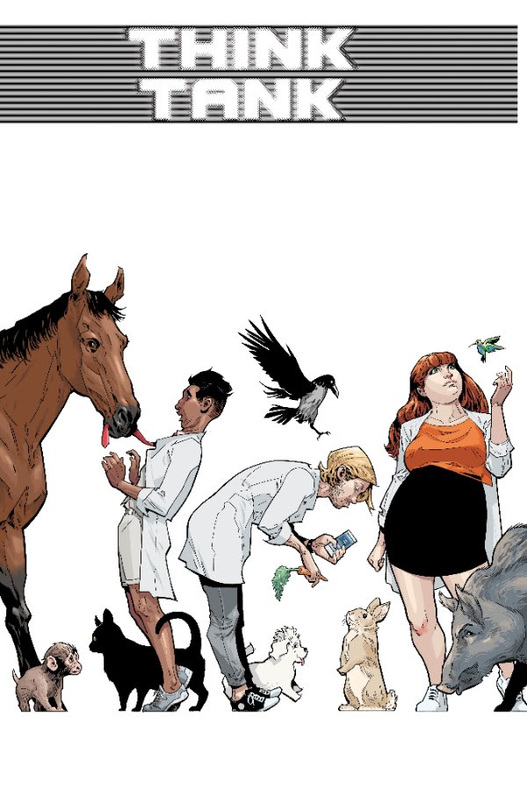 This beautiful new graphic novel is a unique tale of what it takes to find yourself—and maybe your soul mate—in the middle of a crowded, bustling modern world. 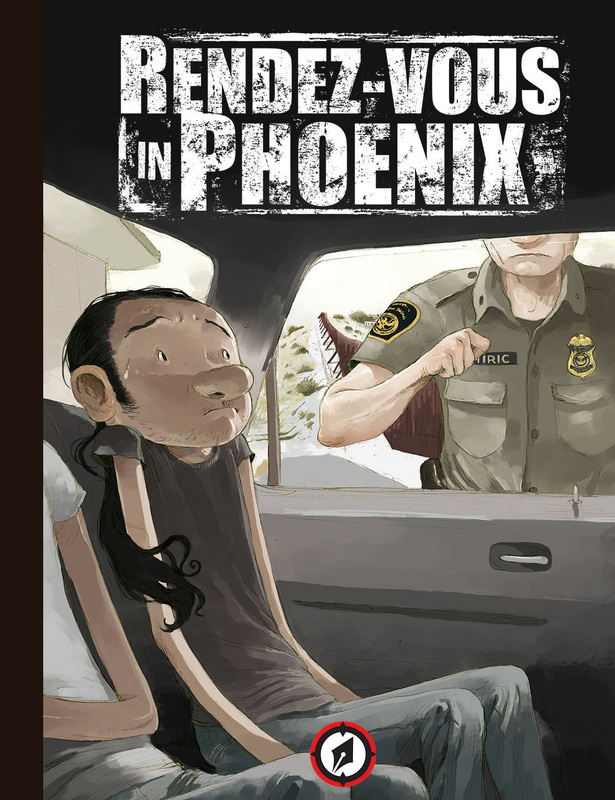 Tony Sandoval’s Rendez-vous in Phoenix is available now at your favorite comic shop or bookstore. 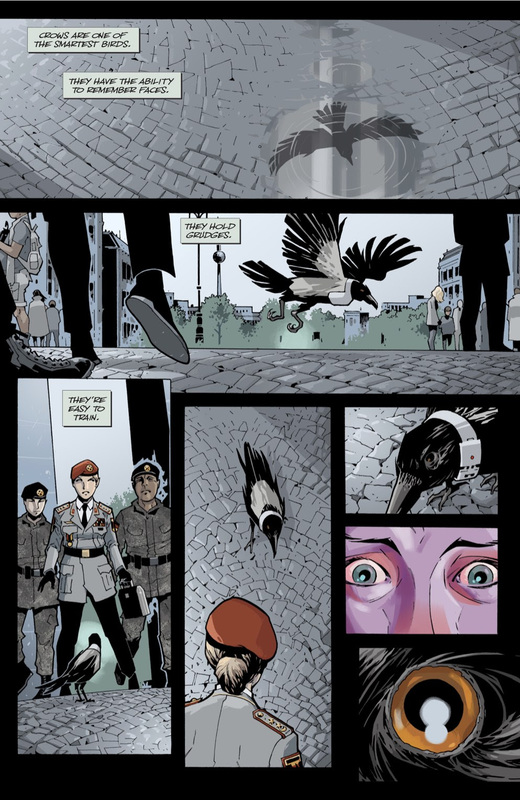 Giacomo Bevilacqua’s The Sound of the World By Heart will be released in comic shops and bookstores everywhere on March 29. Both are presented in premium hardcover format, retailing for $19.99 and $24.99 respectively. THE MAGNETIC COLLECTION is a line of graphic novels and art books published by LION FORGE COMICS, LLC, curated by Mike Kennedy who founded the Magnetic brand in 2013 as the independent publishing company Magnetic Press, Inc. With a focus on premium quality content and production value, THE MAGNETIC COLLECTION features creators both new and established from around the world, sharing their stories with an English-language/North American audience. 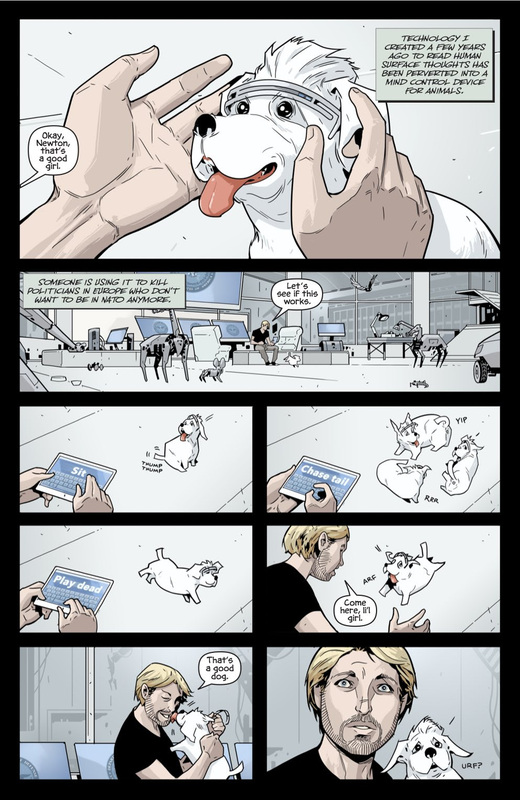 Their award-winning library includes such celebrated titles as the Love series of wordless wildlife graphic novels, as well as Eisner-nominated books Doomboy, A Glance Backward, and Dave Dorman’sWasted Lands Omnibus. Lion Forge Comics strives to create comics that everyone—regardless of background or ethnicity—can identify with. Their title Andre the Giant: Closer To Heaven was nominated for three Glyph Awards. 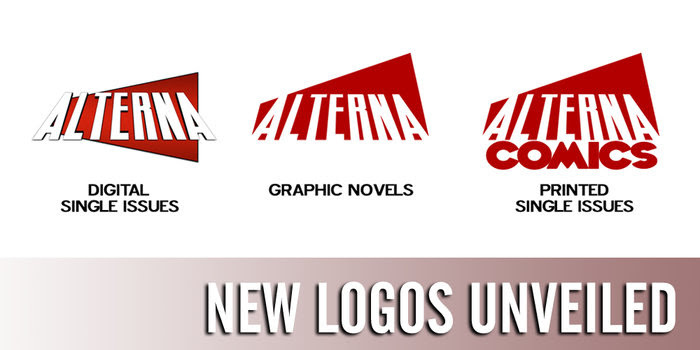 From indie creators to licensed properties including Dreamworks’ Voltron Legendary Defender, NBC/Universal’s Miami Vice, Airwolf, Punky Brewster, Saved By The Bell, and Knight Rider, and American Greetings’ Care Bears and Madballs, there is something for every level of comic fan. 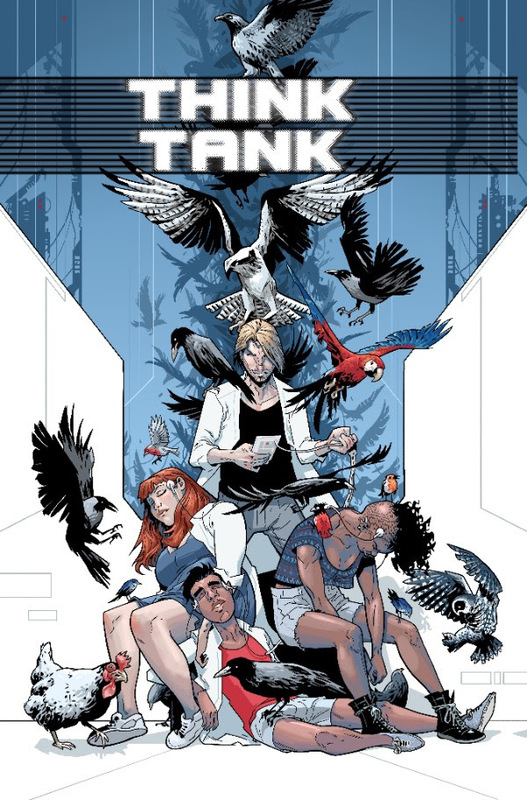 THINK TANK VOL 5 #1 Cover A (Diamond code: JAN170669) and Cover B (Diamond code: JAN170670), both featuring cover art by series artist Rahsan Ekedal, will hit comic book stores on Wednesday, March 1st. Final order cutoff deadline for retailers isMonday, February 6th. 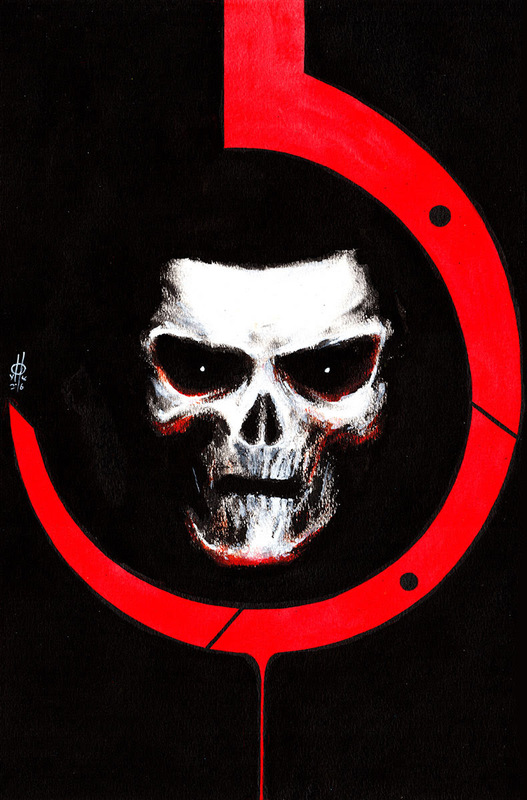 Valiant is proud to present your first look inside DIVINITY III: SHADOWMAN AND THE BATTLE OF NEW STALINGRAD #1 – the next essential standalone special torn from the pages of Valiant’s hit comics event! 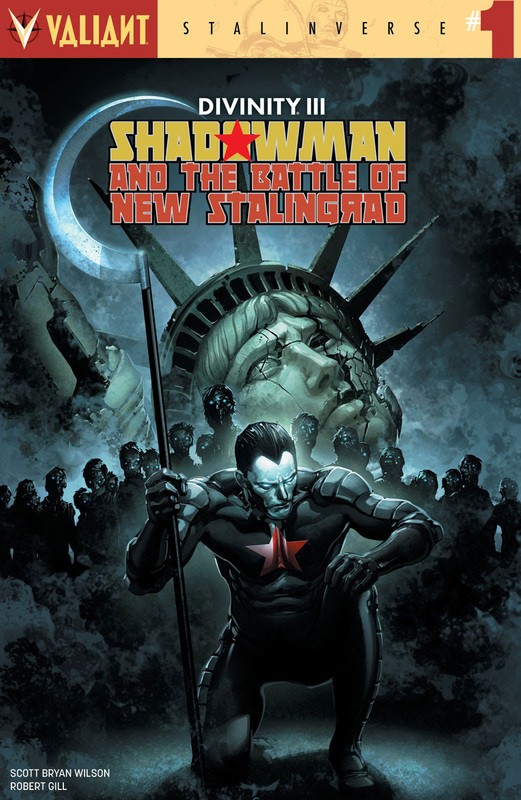 On February 8th, join rising star Scott Bryan Wilson (Batman Annual) and blockbuster artist Robert Gill (Wrath of the Eternal Warrior) as they lead the unshakable Shadowman to the front line of America’s last stand against the global Soviet Union! 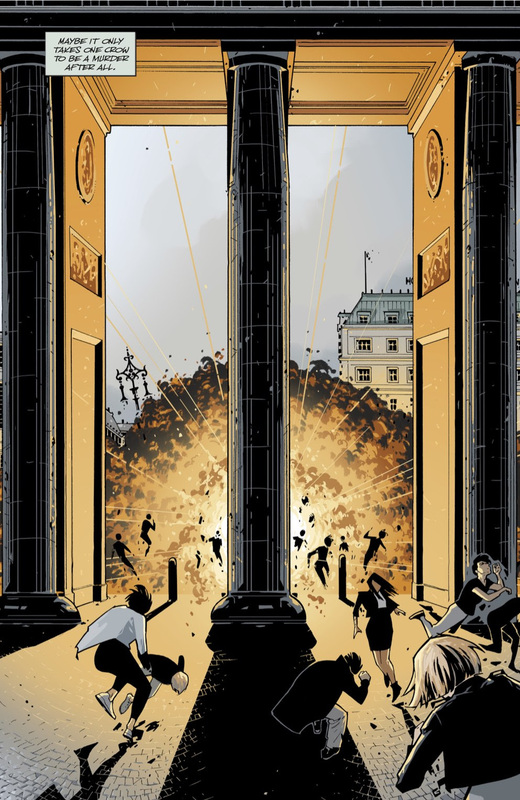 The Statue of Liberty has fallen and the streets of New York are plagued with Russian forces. 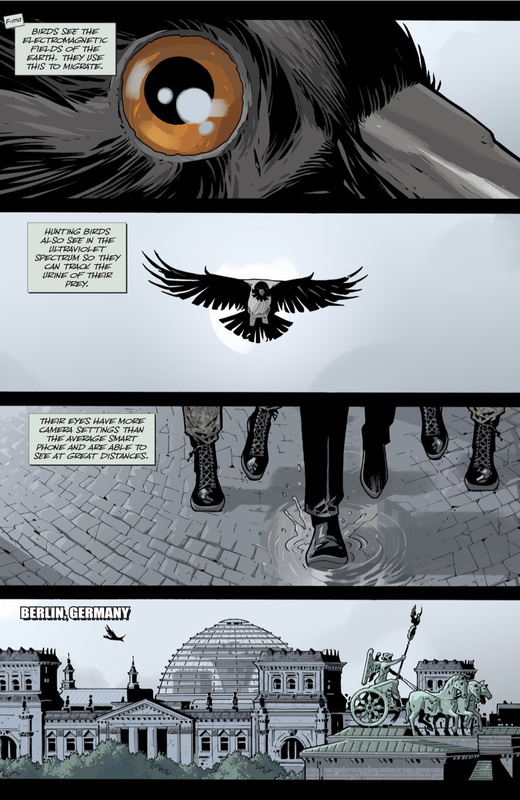 Now, the only thing separating the United States from complete Soviet rule is the most unlikely soldier of all: Shadowman! On February 8th, follow the tragic tale of the Stalinverse’s darkest champion out of the sold-out pages of DIVINITY III: STALINVERSE #1 and into an all-out assault on the Big Apple, only in DIVINITY III: SHADOWMAN AND THE BATTLE OF NEW STALINGRAD #1 – featuring covers by Clayton Crain(4001 A.D.), Marco Rudy (Uncanny X-Men), Diego Bernard (Ninjak), Trevor Hairsine (Divinity) andKano (Daredevil)! 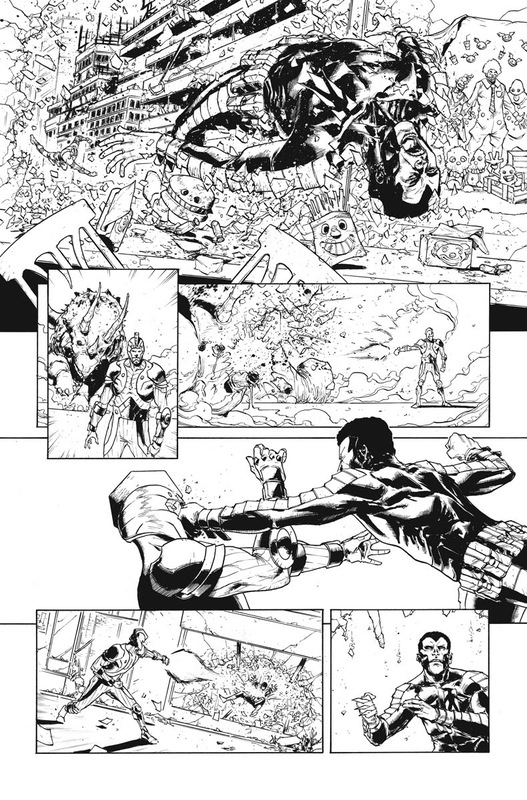 But first: The fight has already begun in DIVINITY III: STALINVERSE #1 (of 4) – the FIRST ISSUE of the winter’s major comics event from the visionary creative team of New York Times best-selling writerMatt Kindt (4001 A.D.) and blockbuster artist Trevor Hairsine (X-Men: Deadly Genesis), in stores now! 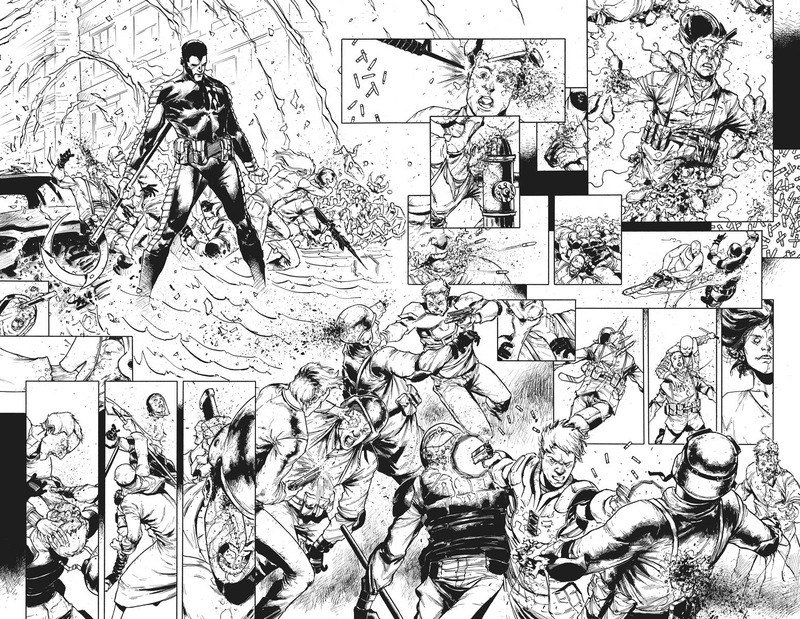 Then: The Stalinverse’s subversive spread continues with the first of four essential one-shots torn directly from the pages of DIVINITY III: STALINVERSE #1 (of 4) as New York Times best-selling writerJeff Lemire (Bloodshot Reborn, Death of X) and superstar artist Clayton Crain (4001 A.D.) re-assign the KGB’s deadliest covert operative from Mother Russia to the mountains of Colorado in DIVINITY III: KOMANDAR BLOODSHOT #1 – on sale now! Next: On January 18th, join the cause of Soviet righteousness as Valiant’s leading legend – the unstoppable X-O Manowar – becomes the supreme fighting force of the CCCP in DIVINITY III: ARIC, SON OF THE REVOLUTION #1 from acclaimed writer Joe Harris (Snowfall, The X-Files: Season 10) and explosive artist CAFU (Ninjak)! 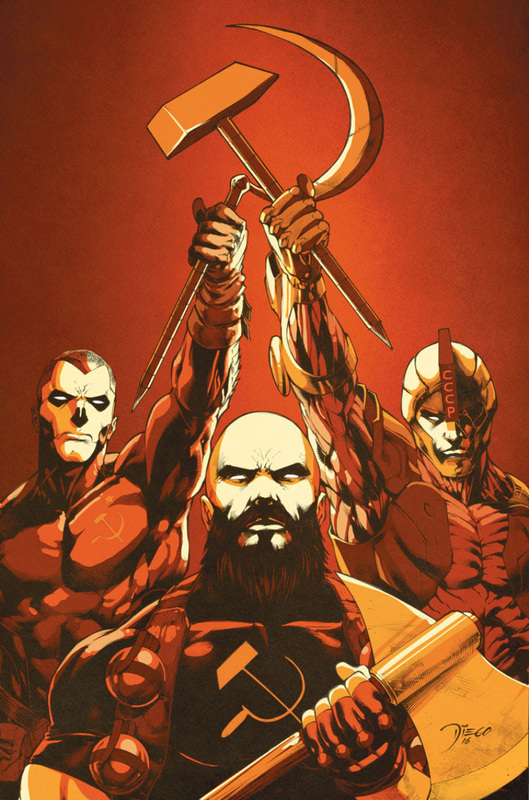 Plus: Prepare to serve time with the Stalinverse’s newest enemies of the state in DIVINITY III: ESCAPE FROM GULAG 396 #1! On March 15th, join rising star Eliot Rahal (The Paybacks, The Doorman) and acclaimed artist Francis Portela (Faith) as they sentence religious zealot Obadiah Archer and the unkillable libertine called Armstrong to a fate worse than death: A lifetime sentence in Gulag 396, the deadliest prison known to man. But in letting these two subversive criminal offenders into its walls, has this oppressive Gulag condemned Archer and Armstrong…or itself? $3.99 | 32 pgs. | VALIANT PRESTIGE | T+ | ON SALE NOW! Ben Riley is the clone The Jackal made, who thought he was Peter Parker, then thought he was a clone, then died, then was back, then thought he was Peter again, then found out he was a clone, then died, then came back and became The Jackal. Well, in a semi-spoiler for the current CLONE CONSPIRACY storyline in Dan Slott’s AMAZING SPIDER-MAN, Marvel has revealed that after that wraps up, Ben Riley (or a clone thereof) will pick back up his old mantle of SCARLET SPIDER for a new ongoing by fan favorites Peter David and Mark Bagley. Marvel even provided an image, featuring the Scarlet Spider’s new look, a sleeker variation on his 90’s outfit. Oh, and his mask smiles. New York, NY—January 9th, 2017 — This April, one of the most controversial characters in Marvel history returns to don the mask (and hoodie!) once more. Today, Marvel is pleased to announceBEN REILLY: THE SCARLET SPIDER #1 – the new series from New York Times Bestselling creators Peter David (Amazing Spider-Man, Spider-Man 2099) and Mark Bagley (Ultimate Spider-Man, All-New X-Men)! That’s right, Ben Reilly is webslinging his way back into comic shops everywhere later this year and he’s bringing two of the most accomplished & beloved Spider-Man creators of all-time with him! Only question is – will it be as a hero…or a villain? It was the twist that shocked the world. Ben Reilly had returned, but not as he once was. Twisted and manipulated by the villainous Jackal, the fallen clone is out to break the cycle, and reclaim his destiny. Not as Peter Parker’s clone – but as his own man. Will suiting up once more as the Scarlet Spider be enough to outrun his personal demons? All while being able to stay one step ahead of the man hunting him – Kaine Parker – the former Scarlet Spider?! His old life is over. It’s time for a new beginning. But can you ever truly outrun your past? Find out as the iconic fan-favorite character returns to the fore once again in BEN REILLY: THE SCARLET SPIDER #1 – coming this April! Fans were devastated when NBC cancelled the Matt Ryan led CONSTANTINE series after just one season in 2014. Petitions were launched, #SaveConstantine was plastered across the web. The only results were an appearance on ARROW and Ryan voicing John Constantine in the animated JUSTICE LEAGUE DARK. Well, Hellblazers, look no further! According to THE HOLLYWOOD REPORTER, the CW SEED, home of the animated VIXEN and upcoming DC FREEDOM FIGHTERS: THE RAY, both of which are set in the shared DC TV Universe of Arrow et al., will be reviving CONSTANTINE for an ongoing animated series, complete with Matt Ryan to voice the cynical dark arts practitioner. While CW president Mark Pedowitz said “there are no plans,” to have Constantine cross over into the live shows (Flash, Arrow, Legends of Tomorrow, Supergirl) he did add that he’d love to have Ryan back. Here’s a look at DC’s SUPERGIRL #5, part of the REBIRTH line. Kara’s father, Zor-El has turned all of Argo city into Cyborgs. Can Supergirl stop him? Will she need Cat Grants help to do it? Retailers: This issue will ship with two covers. Please see the order form for details. 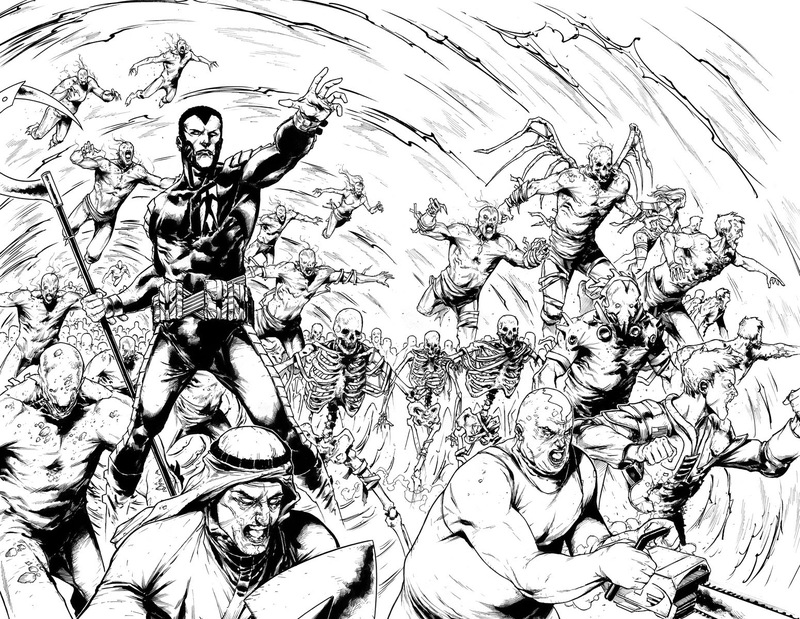 “REIGN OF THE CYBORG SUPERMEN” part five! 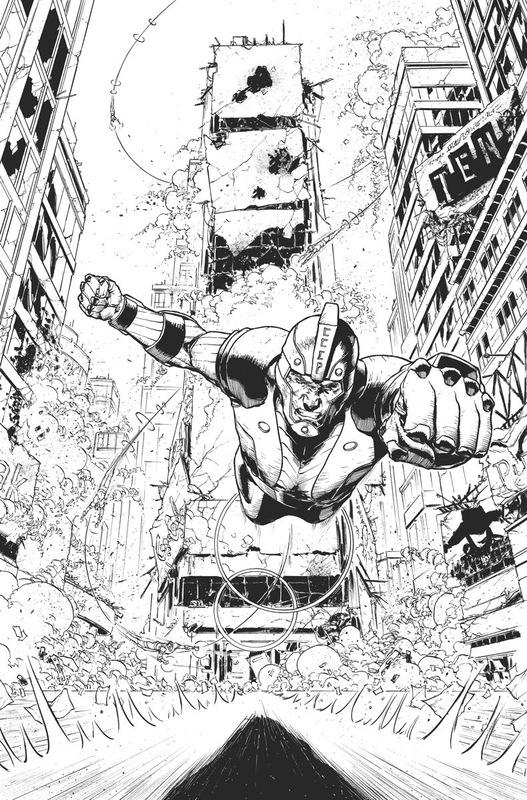 As National City becomes a war zone, Cyborg Superman’s plan to resurrect Argo City reaches its deadly final phase: rain Argo City itself down upon the earth! Supergirl is all that stands in the way of total destruction—but with the clock ticking and the stakes rising she’ll need more than just brute force. She’ll need the help of…Cat Grant? 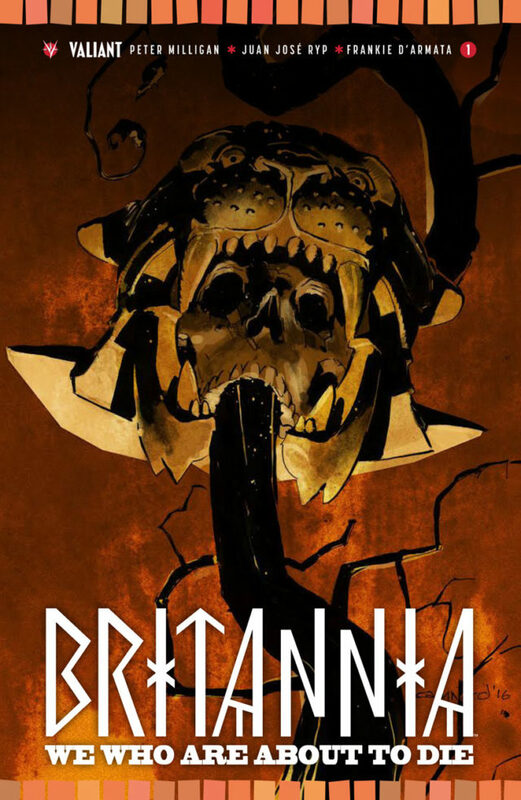 Just in time for X-O MANOWAR’s 25th anniversary in February, Valiant is teasing a new X-O MANOWAR series, with the tagline WAR IS COMING and an image of the empty X-O helmet. Is this Airic’s armor? Will someone else be in the suit?